With responsibility for three major zoos, 5000 animals, 2.5 million visitors annually and 600 permanent and casual employees, you might think that Jenny Gray, the CEO of Zoos Victoria and the current President of WAZA (World Association of Zoos and Aquariums), has enough on her plate. 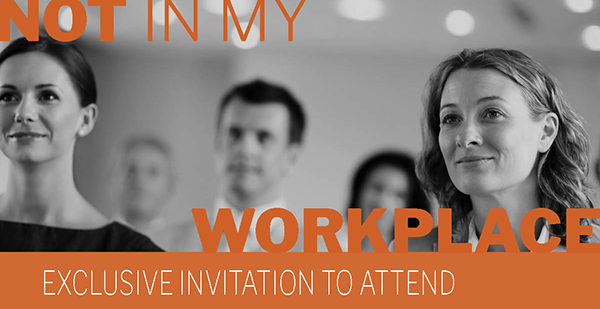 You can join Not In My Workplace and you can also be part of the conversation and action plan at the first major summit taking place next February. The Not In My Workplace SUMMIT. What’s it all about? The plan for this high impact, highly affordable summit on February 21st, 2019 is to move from awareness to action. In one afternoon from 12:00 noon – 5:30pm at the Melbourne Convention & Exhibition Centre influential leaders and dynamic thinkers will talk about the extent and impact of sexual harassment in the workplace. Please share the invitation below with your network. NIMW is very grateful to their early sponsors the Victorian Government and Public Transport Victoria. At Slade Group and the Interchange Bench we have zero tolerance for sexual harassment and continually build on our respectful culture for all employees, candidates and clients. But we can do more. By sharing this blog more people can be part of the action oriented major summit taking place next February. What have you done in your world @work to stamp out sexual harassment? How everyone can develop resilience: 3 things you can do right now. Resilience: The capacity to recover quickly from difficulties; toughness. Recently relocating from Sydney to Melbourne, let’s just say I appreciate the differences between the two! Coming from a retail background, not only did I have to adjust to a different work style in the corporate world, but there were the challenges of moving to a new city, making new friends and starting a new job that anyone who has ever been an ‘expat’ will relate to. Any major life change can be daunting. While I knew there was a chance my move might not be successful, I also knew that if I didn’t step outside my comfort zone to make the move, then I would never know. In all aspects of life, we need resilience. It builds strength of character, enhances relationships and most importantly, helps us to be at peace with ourselves. Monique Slade from Springfox and The Resilience Institute shared her personal experience with our team in a training session this week. Speaking about her role model for resilience, Monique told us about her mother, who at the age of 50, unexpectedly lost her husband to illness. With young kids and no financial security, she found herself at a crossroad. Instead of spiralling downwards into distress, she chose to master the stressful situation, engage her emotions and spirit into action. It was a lesson in resilience for herself, and for her children. Hearing Monique’s story was extremely empowering. It made me realise that we all make choices. While life rarely goes the way we planned it, we choose our mindset, have control of our actions and can model the person we want to be. As for me, going from being a Sydneysider to a Melburnian wasn’t all smooth sailing. There are some noticeable cultural differences (Melbourne cafes, pretty hard to beat – Sydney, you got the weather) and comparing a corporate culture to a retail environment – so many processes and procedures to learn, but so little stock! Give yourself credit – You have the resources within you to be more resilient. Think about the times in your personal or professional life where you may have struggled, survived and bounced back. Stop ruminating – Focus on the here and now. Don’t let your mind drift into worrying about the past or the future. Learn mindfulness or focusing techniques to train your brain to stop creating its own stress. Take a deep breath – I volunteered to be hooked up to a heart rate monitor at our training session to see how a few deep breaths could lower my stress level. Breathing is now part of my morning routine. Taking risks to strive for the things we want in life helps us to recognise our achievements. Don’t get hung up on What if? Just give it a go. I now know that I am capable of great things. Whatever life throws at me, I’m a little bit more prepared to deal with it. I am resilient. How have you learned to overcome adversity and become more resilient in the world @work? What are some of the strategies you use to maintain your grace and control? This month the Interchange Bench is getting behind Liptember – an initiative that supports and raises awareness for women’s mental health – a cause very close to our team’s heart. While we can’t always kiss away the blues, educating the community on women’s mental health whilst raising funds to support specific women’s mental health research and support programs can help make a big difference. Funds raised by Liptember, which as the name suggests, has its prime campaign focus during the month of September, will be donated to the Centre for Women’s Mental Health, Lifeline, Batyr, RUOK?, Jean Hailes for Women’s Health and the Pretty Foundation. We think these are pretty worthwhile causes, and you can follow the links if you’d like to learn more about each organisation. Mental health doesn’t discriminate, so whether you’re a girl or guy, join us for Liptember to support the women in your life (wearing lipstick is optional). To donate now, head to the Interchange Bench fundraising page or contact me for more information. How 100 smart women discovered six unexpected benefits from an unlikely escape. After performing well in the grading games, Monash Blues Football Club (MBFC) were placed in the second tier of the women’s competition. Although they didn’t win many games in 2017, strong interest in the team generated registrations from 100 female University-based players, which has seen the club expand to two women’s teams in 2018. The Women’s Firsts team had a great season this year, which saw them finish in the preliminary finals last weekend. As Captain of the Firsts, Ella has firsthand experience of the benefits that joining a football club like the Monash Blues offers, both on and off the field. It’s universally acknowledged that playing a team sport like football is so much more than running around an oval and kicking a ball. Health and exercise – committing to train two times a week and play on the weekend means you’ve ticked off your weekly exercise schedule. Teamwork – nothing prepares you for working collaboratively like playing a team sport. Networks and mentors – when you’re a student you’ll meet all kinds of people and probably make new friends, but a network of likeminded people who you can connect with and who can mentor you as your enter your professional life is an unexpected benefit. Support – Ella says that over the last two years MBFC has helped the players overcome some tough physical and mental challenges, such as injuries and the loss of parents. Lasting friendships – we’re tested a lot through life, so the friendships established from playing together at a club are often an unexpected bonus. Stress Release – there’s nothing like running off steam, living totally in the moment and falling into bed exhausted after a tough game to make you feel on top of the world. The players juggle study commitments with training twice per week, games on Saturday, as well as casual or in some cases, full-time work. During the six week mid-semester break, a number of students from regional Victoria return home, which can severely impact the team. Over this period many players drive great distances to support the club and ensure they don’t miss a game. These young women have found a way to escape, exercise, learn the value of teamwork and develop a network to support each other through university, the workforce and beyond. Slade Group and the Interchange Bench are proud sponsors of the Monash Blues, a football club that fields men’s and women’s teams of current and past students. If your organisation is looking for graduates or can support university students with work placements, please get in touch with us. We all want to make a positive difference at work, home and in the community. Being part of a supportive and compassionate workplace can make a positive difference and can influence our society. One way is to increase our awareness of other people’s lives and their challenges. An estimated 425,000 Australians are living with dementia. People with dementia can find it challenging to participate actively in the community, often due, in part, to a lack of knowledge or understanding by the community about their condition. In fact, a recent survey by Dementia Australia found people living with dementia and carers reported experiencing embarrassing situations, feel strongly disconnected, feel less competent and sometimes feel useless. 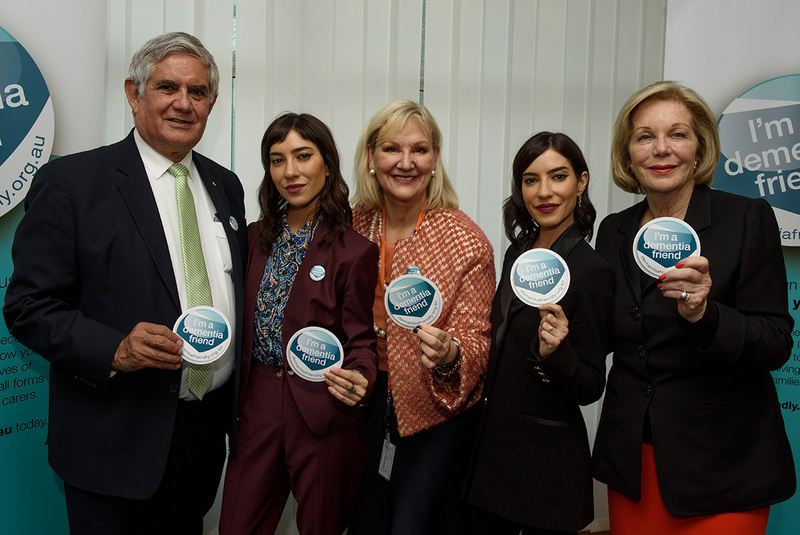 Thanks to our friends at Dementia Australia, they’ve created a program – the Dementia Friends program – that aims to transform the way we think, act and talk about dementia. Registering to become a Dementia Friend means that you can increase your understanding of dementia. Every day, you can make a difference to someone living with dementia or make a difference to the carers and families of those people living with dementia. When registering to become part of the Dementia Friends program, participants can utilise a free online learning tool, through which they can increase their understanding of dementia, and be empowered to do small, everyday things that can make a big difference to a person living with dementia. What can your organisation do to be dementia-friendly? Look for the signs. Allow extra time for inclusion in a conversation, or offer assistance if someone appears disoriented or confused. It will make all the difference. Empower someone living with dementia and make them feel safe, accepted and involved. Become a Dementia Friend today. Visit dementiafriendly.org.au and start making a difference. The word confidence has been on the forefront of my mind lately. Whether you are conscious of if it or not, confidence is an incredibly powerful feeling/belief that significantly impacts the way you carry yourself throughout life. Working in recruitment, confidence plays a vital role in how successful I am as a Consultant. I am lucky enough to work within an incredibly supportive team at Slade Group, who have given me the space to develop my confidence so I can perform at my highest potential. Positive self-talk is key! Your thought process will dictate the way you act and therefore determine how others will treat you. If you practice positively reframing negative thoughts on a daily basis, you will eventually reprogram you thoughts to be more positive. Stop caring so much about what others think. It is human nature to desire validation from others, however it is not always required to succeed. When your headspace is not preoccupied stressing about the judgement of others, you have more room to channel your energy in productive ways. Competency = Confidence, it’s a simple equation. As a Recruitment Consultant, it is important that I maintain a well-rounded knowledge so I can make educated decisions and be a valid source of information for my candidates and clients. Put the time and effort into understanding what is going on around you! Remember to ask the right questions, pick up the Financial Review, and take notice of politics! Take care of yourself. There are many benefits involved when living a healthy life, including an increase in your confidence! Maslow made a timeless point, so it is no coincidence we constantly hear about “healthy eating, sleep patterns and exercise”. I certainly perform better at work when I make a healthy dinner and stick to my bedtime. Practice your Power Poses. Stand with your feet apart and hands on hips, pretend you are a super hero and feel the confidence surge throughout your entire body. Now I know this sounds silly but it works. Oprah does it… need I say more? Be authentic. Take the pressure off, don’t feel like you need to act a certain way. People who accept who they are, happen to be the most confident. I hope reading this article gave you a big CONFIDENCE BOOST! Only last Saturday, I was settling in to read the weekend paper while sipping a long black at my local cafe, when I was again reminded of the world famous BFO principle… that’s a case of the Blinding Flash of the Obvious! I was reading Greg Callaghan’s entertaining piece in The Saturday Age #GoodWeekend Magazine where he interviewed Sydney psychologist Dr Tim Sharp, an adjunct professor at both UTS and RMIT University, about “the importance of small, daily face-to-face interactions”. What a timely reminder. These exchanges contribute to people’s overall wellbeing, longevity, and even improve mental health. Here in the Southern Hemisphere, as we bunker down for what is predicted to be a long winter with endemic colds and flu, it’s been scientifically proven we can actually draw a lot of energy – and in fact warmth, by reaching out to others. Getting out of your headspace and talking to friends, family, colleagues or even strangers on the street, releases endorphins – your wellness hormone, which can actually be good for you. Dr Sharp, who is also the founder of the Happiness Institute in Sydney, went on to say that, “Brief, micro interactions on a daily basis can have amazing benefits, leading to even reduced rates of depression.” Who would have thought? While this may have been going on since Moses walked the Earth, I challenge you this week have a chat and reach out to someone new. Whether it’s at your next business meeting, a job interview, the train station, on the street corner or at your local… You can tell them I sent you! Social media doesn’t count. No Facebook, Instagram, Twitter or texting… You gotta go live. Experts call it positive wellbeing. Others may say it’s a BFO. Whatever, I think it’s fantastic and those little interactions really work. Everyone’s a winner, if you’re up for it. Just use your judgement when approaching others, keep it safe. Let me know what happens when you have a ‘small talk’ with someone new. In early February 2018 Dina Pozzo, founder of insium, spoke to the Slade Group team about Organisational Courage. Here is some background to what that term means. Sustaining organisational performance in an environment that is volatile, uncertain, complex and ambiguous, is challenging and falls to the leadership within an organisation. This environment has contributed to corporate scandals including that of Enron in 2001 and Lehman Brothers in 2008. Might the collapse of both of these organisations have been averted by a strong expression of courage by senior and executive employees? Might courage at work – defined as “an intentional constructive or moral action taken by an individual in the presence of perceived personal risk and uncertainty of outcome (personal or organisational) in order to resolve or avert a workplace issue” – avert further global collapses? Warren Bennis, described as a “renowned leadership scholar”, espouses that “courage is the ‘X’ factor that can make or break corporate America”. The Australian landscape is no different. My Master of Applied Positive Psychology Capstone paper established the case for courage as an enabler of leadership, providing argument and a framework for the development of a measurable, outcomes-based programme to build courage. This programme, Leading with Courage, was launched at the 5th World Congress of Positive Psychology in Montreal in July 2017. The objective of this programme is to ‘build courage in senior and executive leaders, which will enable leadership behaviour, with an additional positive impact on leader workplace wellbeing’. The programme combines academic theory with practitioner evidence – including my own 16 years’ experience as a practitioner in the field of leadership and organisational culture development. While courage is not the only behaviour required of leaders, it is an essential leadership behaviour for success, and may be the one which provides most support in these challenging times. I welcome the opportunity to speak with you about Leading with Courage. For now, think about when have you been courageous in the workplace? How do you lead with courage? What stories of courage do you share to inspire courage in others?